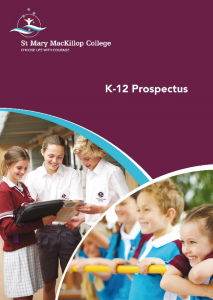 In the lead up to the Federal Election we have been looking closely at the political parties and the tactics they use to win votes. 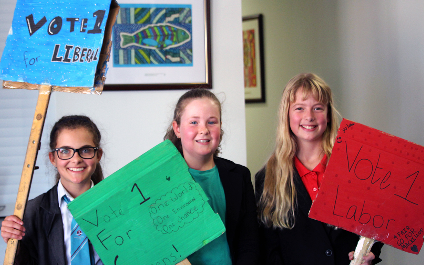 As part of our Civics and Citizenship program we lived out the democratic process in the classroom, and split students into three political parties: Liberal, Labor and The Greens. 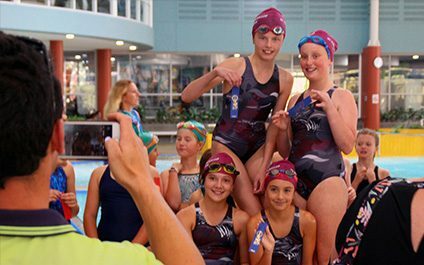 On Thursday 28 March our Year 4-6 Interschool Swim team travelled to the South West Sports Centre in Bunbury to compete in the South West Primary Sports Association (SWPSA) Swimming Carnival. 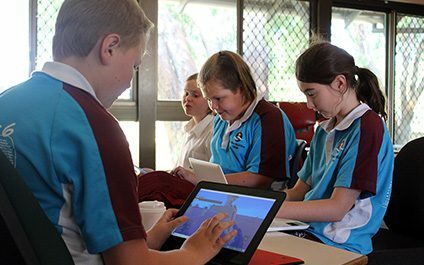 We competed against eight other schools, from Great Southern Grammar to Leschenault Catholic School including Our Lady of the Cape, GMAS and BCGS. It was a great day with our students achieving great results and also enjoying the challenge of swimming in a 50m pool. 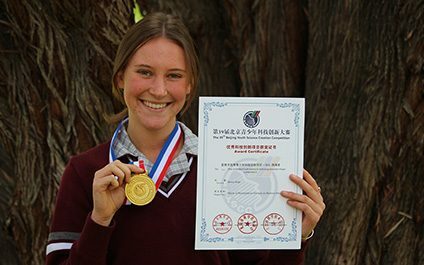 Year 11 St Mary MacKillop College student Shona Kiely has won a gold medal at the annual Beijing Youth Science and Technology Innovation Competition recently, for her research project on a biodegradable fungicide to treat dieback in native plants. More than 1500 students from all over the world presented their projects at the annual competition held in Beijing, China, with gold medals awarded across 39 categories including computer science, mathematics, biomedical and environmental engineering. The week begins with Mindful Mondays in the Library, with relaxing music playing in the background, while students participate in some mindfulness colouring and self-guided reflection. 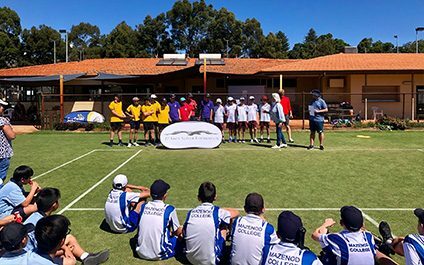 Year 8 students Samuel Newland-Gleeson, Ben Luplau, Jett Watts and Jasper Reynolds travelled to Perth to compete in the final of the Herbert Edwards Cup on Tuesday 26 March at the Robertson Park Tennis Club, finishing as runner-up regional school in the statewide competition. 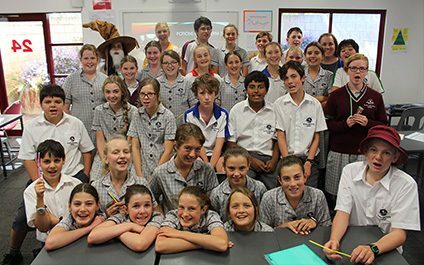 Students were sorted into their Houses much like the characters in J.K Rowling's famous series Harry Potter. 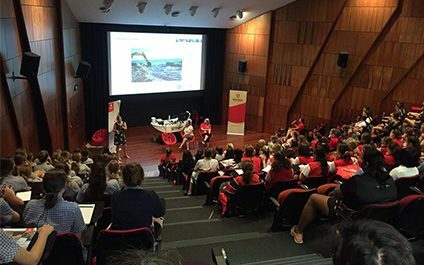 On Wednesday the 27 March a group of female students from the College, identified as gifted and talented in Science and Mathematics, travelled to Murdoch University in Perth to experience a wide range of STEM-based workshops and activities at the WISE Women Showcase. It was a successful day with the MacKillop students hopping on the bus at 5am ready to give their full effort. 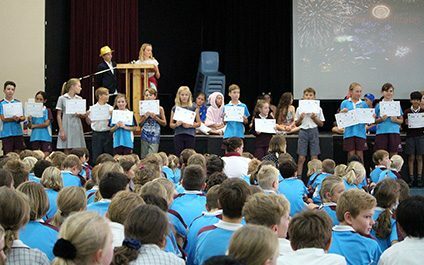 Mrs Harslett’s Room 5 Assembly was based around their class novel for this term: Wonder by RJ Palacio. 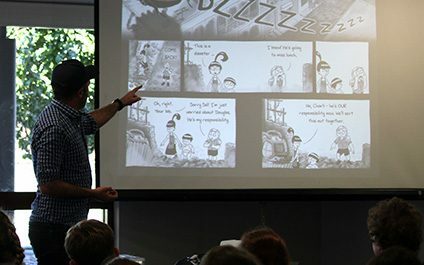 Students began by introducing the narrative hook used by the author to draw the audience in and encourage the reader to want to explore the storyline, and then explained Mr Browne's Precepts from the story.